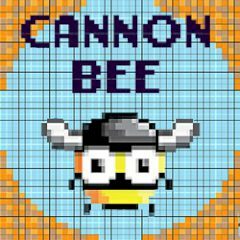 The Cannon Bee is the most simple game you ever saw. There is a small place where you should fly and deliver nectar from flower to the bee nest. You think it's easy? Try it! This bee was created for only one purpose. It should collect nectar and deliver it back to its home. The mission is simple, but there is a dangerous cannon rotating near the bee nest. Can you do the same thing over and over again and collect as many points as you possibly can. Check out your nerves and abilities and play this game.